Book Source Monthly Magazine April 1989. 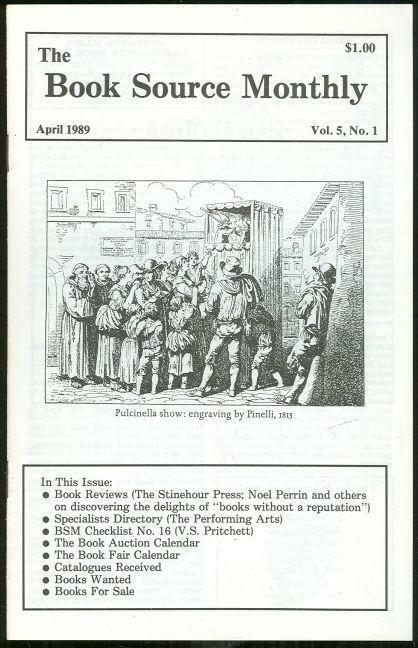 Pulcinella Show on Cover. Articles include Book Reviews, V. S. Pritchett Checklist, and more. Good Condition, wear at edges. Items Similar To "Book Source Monthly Magazine April 1989 Book Reviews, V. S. Pritc..."